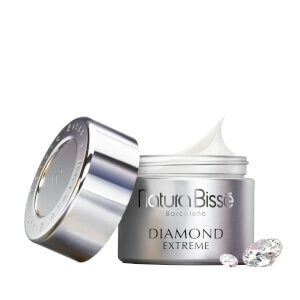 Combat signs of ageing with the Natura Bissé Diamond Extreme Eye Cream, an innovative treatment that stimulates skin’s natural defence mechanisms to repair and protect from environmental aggressors. 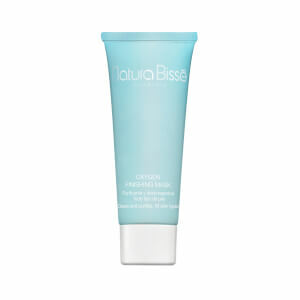 The rich, ultra-hydrating formula contains Artemia Salina, which works to re-energise cellular metabolism to smooth and plump, as well as Ursolic Acid to lift and tighten the look of sagging skin and improve elasticity. A botanical blend of Calendula, Horse Chestnut and Licorice extracts seek to minimise the appearance of dark circles and puffiness, with light-reflecting pigments adding luminosity and brightness. 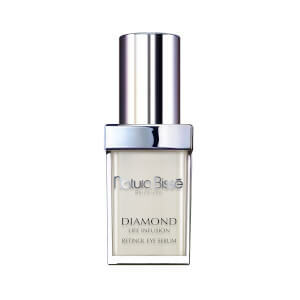 The delicate eye area appears more awake and revitalised with a youthful looking glow. Apply the cream to your eye and lip contour area. Open the wrinkle and massage clockwise. Apply by tapping gently, working your way in from the outside. Water (Aqua), Pentaerythrityl Tetracaprylate/Tetracaprate, Propylene Glycol, C12-20 Acid PEG-8 Ester, Caprylic/Capric Triglyceride, Butyrospermum Parkii (Shea) Butter, Amaranthus Caudatus Seed Extract, Mangifera Indica (Mango) Seed Butter, Cetearyl Ethylhexanoate, Glyceryl Stearates, Pisum Sativum (Pea) Extract, Glycerin, Tribehenin, Methylsilanol Hydroxyproline Aspartate, Nymphaea Alba Flower Extract, Saccharomyces Cerevisiae Extract, Leontopodium Alpinum Extract, Ethylhexylglycerin, Artemia Extract, Ursolic Acid, Salvia Officinalis (Sage) Leaf Extract, Oleanolic Acid, Sodium Palmitoyl Proline, Salicyloyl Phytosphingosine, Ceratonia Siliqua Gum, Sodium Carboxymethyl Beta-Glucan, Rosmarinus Officinalis (Rosemary) Leaf Extract, Sodium Chondroitin Sulfate, Dimethicone, Dipropylene Glycol, Cetyl Phosphate, Allantoin, Palmitic Acid, Carbomer, Sodium Hydroxide, C13-14 Isoparaffin, Titanium Dioxide (CI 77891), Mica, Butylene Glycol, Polyacrylamide, Silica, Laureth- 7, Salicylic Acid, BHT, Citric Acid, Potassium Sorbate, Sodium Benzoate, Chlorphenesin, Phenoxyethanol, Methylparaben, Ethylparaben, Propylparaben, Sodium Methylparaben, Fragrance (Parfum), Linalool, Limonene, Coumarin, Geraniol, alpha-Isomethyl Ionone, Citronellol, Caramel, Yellow 5 (CI 19140), Red 40 (CI 16035). 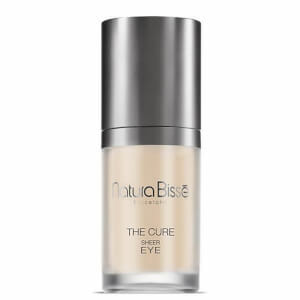 I love this eye cream the first day used it. It smooth my eye line s in few days. I will buy it again.